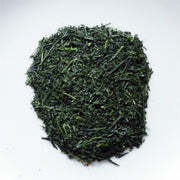 Kabusecha is grown in the shade under fine mesh nets (kabuse) similar to Gyokuro and is machine harvested like Sencha. 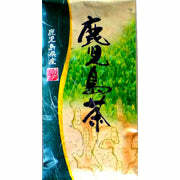 This superb green tea's leaves are very fragrant in the first opened package and have a very complex taste that will appeal to green tea lovers. When warm it is full flavored, mildly astringent and slightly strong. But as the liquid cools floral hints appear and the astringency lessens considerably. The second infusion offers an interesting earthiness. Deep steamed Kabusecha is a rewarding Japanese green tea. Second Infusion: Brew with the same temperature water as the first infusion but for only a few seconds. 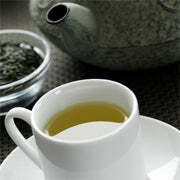 Please note that the caffeine content of Japanese green tea becomes significantly less after the first steeping.